Why we need Roof Ventilation? Feeling hot and stuffy at home? Have you wondered why after switching on the ceiling fan at home, you get to sweat and feel stuffy? Heat accumulated at your roof attic will become a higher temperature region, which will transfer the heat from the attic to your home. 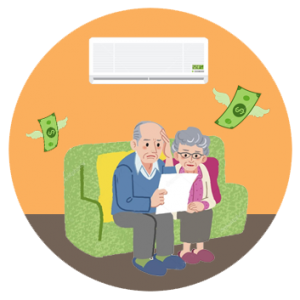 Wondering why your air conditioner bill is so high? Air conditioner is the best way to cool down your house, however, it always comes with the higher electrical bill. Have you encountered the following scenario? At night, you decided to switch off your air conditioner when the room is cool enough for sleeping. 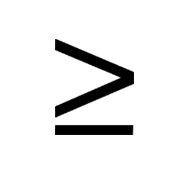 However, after several hours, the whole room becomes not that cool and getting hotter? No choice, you are forced to switch it on again for the whole night. Again, it is due to the heat source on your roof attic space. Feeling hot at your factory workplace? 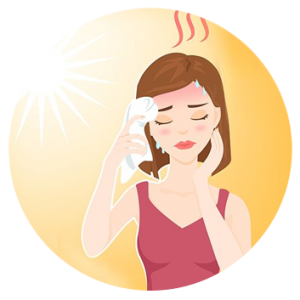 There are several heat sources at the workplace, which includes the sunny & hot weather, poor industrial ventilation system, heat generated from machines and employee’s physical activities. Without resolving the factory heat issue, workers will feel hot and uncomfortable in their workplace and reduce their productivity. From the picture above, it is clearly showing how the heat can be built upon the attic space and how the Solar Roof Ventilator Fan can help in removing the hot attic air to outside. During the sunny day, the sun will radiate the heat to every single house. As we know, the attic space (the space between the roof and ceiling) is an enclosed space. So, the heat will accumulate inside the attic space quickly and it will lead to an elevated attic temperature. From 12 pm to 2 pm, the attic temperature can go up to 50-60°C. The build-up heat at attic will eventually transfer down to your living space like the living room, bedroom, kitchen and etc. Even switching on your ceiling fan is not a complete solution. Ceiling Fan is not designed for reducing the heat, worse still, it might circulate the hot air around your living space. It will eventually cause you and your family members sweat and feel uncomfortable. On the other hand, with Solar Roof Ventilator Fan installed on top of your roof, it can help to reduce the heat and bring in more natural ventilation to your home. 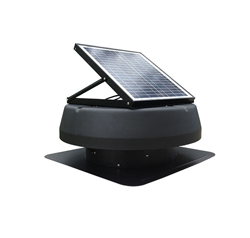 The Solar Roof Ventilator Fan able to convert the sun energy into electrical energy, which will turn the ventilation fan on. 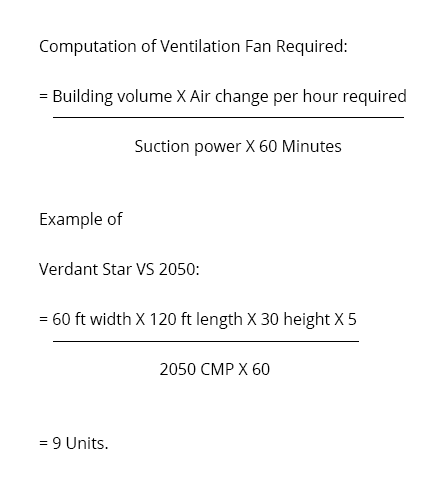 The ventilator fan is 10 times stronger than the turbine ventilator and able to exhaust the hot attic air out faster and more efficient. Once the hot attic air is removed from the attic space, there is lesser heat will be transferred down to your living space. 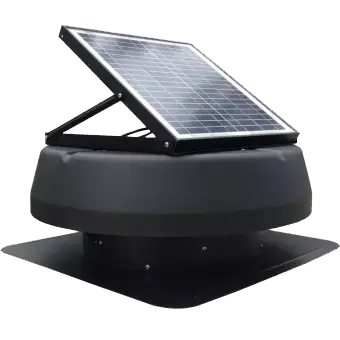 Besides, Solar Roof Ventilator Fan will create a negative pressure zone at the attic space which will help in bringing more fresh air to your house. So you will able to enjoy the cooler house with more natural ventilation. The same concept can be applied to the industrial workplace as well. 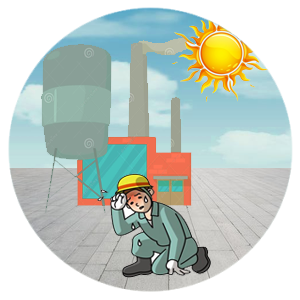 Most of the time, industrials like manufacturing factory, warehouses, depot and etc can be even hotter and lack of air flow. There are several contributing factors like poor factory ventilation system, heat generated from machines, production process or physical activities, worker’s Personal Protective Equipment and hot weather. Without the proper industrial ventilation system implemented, workers will feel hot and uncomfortable at work, which will lead to low productivity and unfavorable workplace. – All the hot roof attic air will be exhausted by Solar Roof Ventilator Fan consistently. Your attic temperature will be reduced and there is much lesser heat will be transferred down your living space. 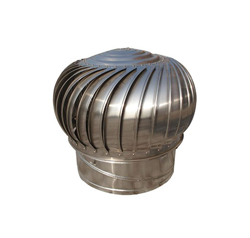 – With the high speed of rotating ventilator fans, it will create a negative pressure zone at your attic. And, it will help in bringing more fresh air to your house via the air vent installed at your ceiling. -Instead of using electrical energy, our Solar Roof Ventilator Fan will harness the environmental friendly source – sun energy via solar panel. It is a green and sustainable solution. 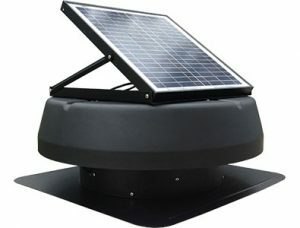 – Our Solar Roof Ventilator Fan is highly reliable, durable and long-lasting. Besides, there is no requirement for maintenance, which keeps you free of hassle. – Customer’s satisfactory is our top priority. 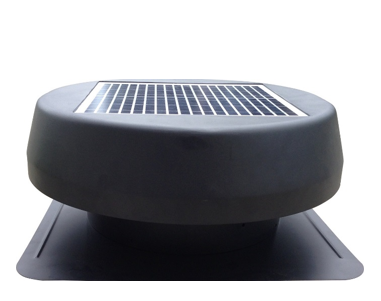 With that, we provide 5 years warranty for our Solar Roof Ventilator Fan which covers the solar panel, DC brushless motor, fan blades, and casing. The video above shows some of our clients that have chosen the Verdant Star Solar Ventilation System in Malaysia. For achieving the purpose of reducing heat and cooling down the industrial, we have implemented 144 units of Verdant Star Solar Roof Ventilator Fans on Daikin’s manufacturing plant. Daikin, one of the most popular air conditioning manufacturing company, also believes in our products. They believe the function of our Solar Roof Ventilator Fan in reducing excessive heat, bringing more natural ventilation and cooling down the factory indirectly. During the installation process, they also choose to replace their existing turbine ventilators with our solar powered exhaust fans. It is because our solar powered exhaust fan is 10 times more powerful than the traditional wind-driven turbine ventilator. For more testimonials or our previous major clients can be found on our Home Page. For more installation photos for residential, commercial and industrial, can be found on our gallery page. 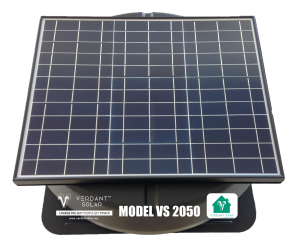 Solana Tec, is the distributor of Verdant Stat Solar Roof Ventilation Fan in Johor, Malaysia & Singapore. We have installed numerous units in Johor and covers areas such as Johor Bahru, Skudai, Kulai, Senai, Nusajaya, Bukit Indah, Tampoi, Pontian, Muar, Kluang, Batu Pahat, Tangkak, Segamat, Simpang Renggam, Kota Tinggi, Ayer Hitam, Yong Peng, and etc. If you felt your home is hot or stuffy (aka rumah panas) or looking for methods to cooling down your house (aka cara-cara sejukkan rumah), do contact us at +6016-7203489 or +65-92469657 for a free consultation. We aim to help you in reducing the excessive heat at your house, bringing in more ventilation and achieving room cooling and house cooling or even industrial cooling in an environmentally friendly way.